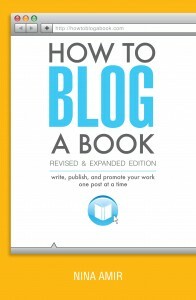 Most of you know I’m in the middle of a book tour to help launch the second edition of How to Blog a Book. However, the days of in-person book tours are over. Some authors still do signings at local book stores, but more authors utilize the reach and power of the Internet when they launch a book. 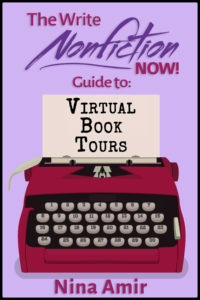 Virtual book tours provide a great way to sell books, but you can accomplish other goals at the same time. In particular, harness the power of this type of book promotion by building your mailing list at the same time. A virtual book tour involves appearing on popular blogs, Internet radio shows, and podcasts to talk about subjects related to your book. Each time you have an opportunity to appear in front of someone else’s audience, whether that audience is another blogger’s readership or a podcaster’s or radio show host’s listenership, be sure you have a two-fold call-to-action. First, ask those reading or listening to purchase your book. Second, ask them, in some way, to sign up for your email list. 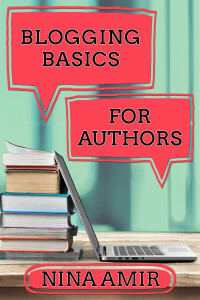 While the first goal is fairly self-explanatory, since the whole point of the virtual book tour revolves around selling books, let me provide you with five ways to accomplish the second goal – getting people to sign up for your mailing list. Include your email list code in your author bio: Include a line in your author bio that encourages email sign-ups. 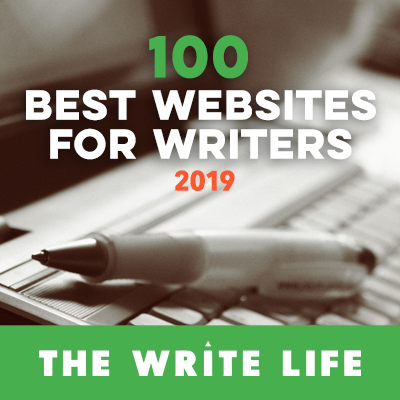 For example, it could say: “If you liked this blog post, click here to receive Nina’s posts two times a week in your email box.” Hyperlink the URL of your mailing list form to the last phrase of the sentence. You also can include a shortened link and ask for this to be included on the page show hosts set up to promote your podcasts and Internet radio appearances. Promote the form with a shortened URL, for instance from https://bitly.com, to make it easier to remember. 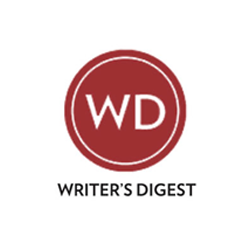 Provide readers and listeners with a gift: Make those who read your post or listen to your interview feel special by providing them with a free, downloadable gift. Give them a link or coupon code unique to the show or blog post that is only redeemable by visiting your website and filling out an email list form. Again, provide a shortened URL, for instance from https://bitly.com. Create an event: Teleseminars and webinars are the best ways to build email lists. So create these types of events on your own or with strategic partners. It’s always best during a virtual book tour to expose yourself to new audiences, but if you advertise your own book tour-related event, you inevitably gain new subscribers. Consider joint venturing with people you know as well. This exposes you to their list as they promote your event. Or maybe they can organize an event and share the email addresses they collect with you. Use social media: Think outside the box! Your virtual book tour could include a Twitterchat event during which you continually tweet about a free gift, which tweeple can only access if they sign up for your email list. You can do the same on Facebook: give away an excerpt of your book or free report with a special offer you promote on your page. Or do a Google Hangout and provide a shortened link to your email list for participants to access a free gift. Some bloggers will limit the number of hyperlinks you are allowed to use both in your post and in your bio. Keep this in mind as you choose a strategy. However, they realize you want to sell your book. 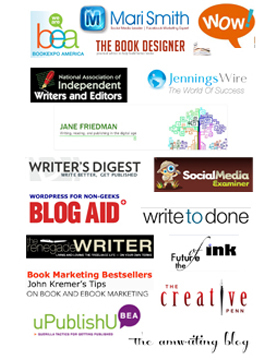 So, consider ways to tie your book and your mailing list together. 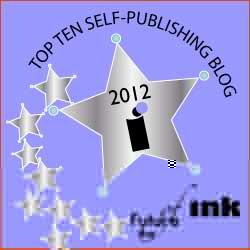 This is easier for self-published authors, who can even choose to give away eBooks or printed books from their websites. Don’t forget that there is magic in a combination of online plus offline tour elements. Get off the Internet and meet readers face-to-face as well. Pass around a clipboard with an email sign-up sheet when you speak or do a signing. Or try a digital email sign-up option where attendees text a certain number on their phones and then type in a code. These methods should still advertise a giveaway of some sort. 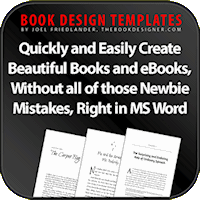 Place the cover of your book and the links to the online bookstores where it can be purchased in a prominent location on your website. Create a free product, eBook, report, or autoresponder series. Sign up for an email service. Create an email subscription form that promotes your free product. Get the URL of your email subscription form from your email service provider. 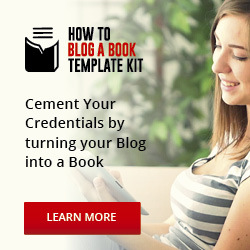 Place your form on your blog or website (or both). Create a page (or pages) on your website to offer a free downloadable gift only redeemable after filling out an email form. 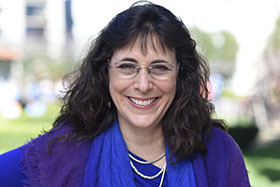 Create a teleseminar, webinar, or social media event related to your book. Find strategic partners who might be willing to promote your event to their list or joint venture with you in other ways.